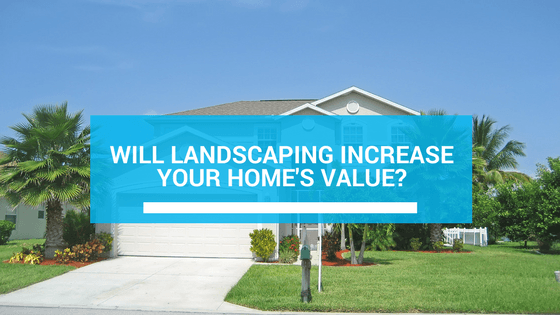 How Much Does Landscaping Increase Home Value? Not only can landscaping improve the appearance of your home, it can also significantly raise its value. The types of plants, their size, and their design can turn a small investment into a major financial gain. Let’s discuss the exact effects of landscape plants on your home’s perceived value. An article by researchers at Virginia Tech attempts to show, in hard numbers, the real value of landscape improvements. Their findings showed that people value three things in the landscaping of a home: sophistication, plant size and diversity of the material used. And those three things mean an increase in home value. What Does It Mean For My Home? While there were differences from state to state, the increase in perceived value is very real – It ranges from 5.5 percent increase in value to 12 percent increase in value. Other findings show that landscaping, including mature trees, can add up to 20% in home value. This means that a $200,000 home could be worth $10,000 to $40,000 more with a professionally-designed landscape. Just think about it – when you drive by homes in your neighborhood, which ones look most appealing? We may be biased, but we recommend using a landscape contractor to ensure that any landscaping design will be done well, is sustainable, and will add value to your home. Not only this, but customers must also be familiar with the inner workings of landscaping. The more familiar you are with landscaping practices and the design process, the better the chances of creating a landscape that will add value to your home. It’s no secret, the housing market can be extremely competitive. While there are a variety of home improvement projects that could increase the value of your home, increasing the outside appearance is the most visible, and may offer the best return on investment.